exaSound Audio design has just released the Gamma Music Server. It offers the best proprietary and open-source digital audio technologies in one compact and elegant component. The upgraded version of the exaSound’s award-winning e38 DAC brings refinements and new features. 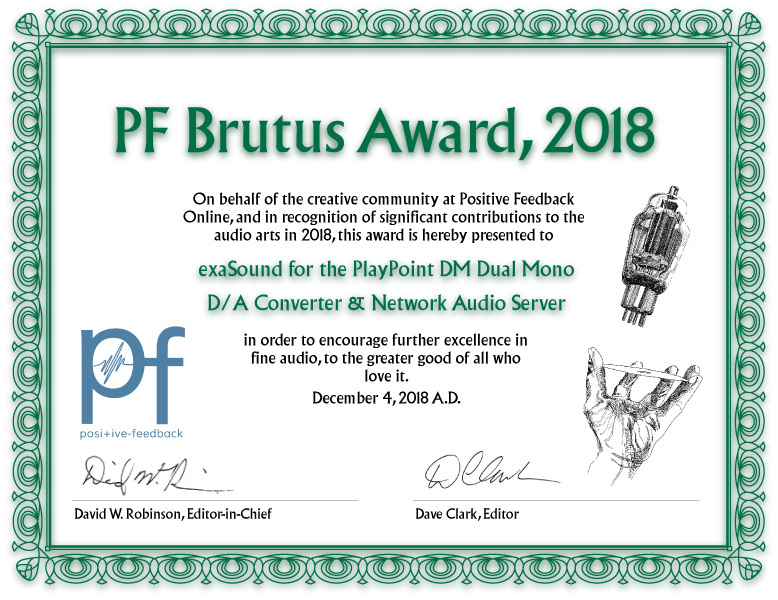 We are proud to announce that exaSound's flagship device, the PlayPoint DM has received a Brutus Award 2018! The first Toronto Audiofest took place from October 18 to October 20, 2019 at the Westin Toronto Airport Hotel. 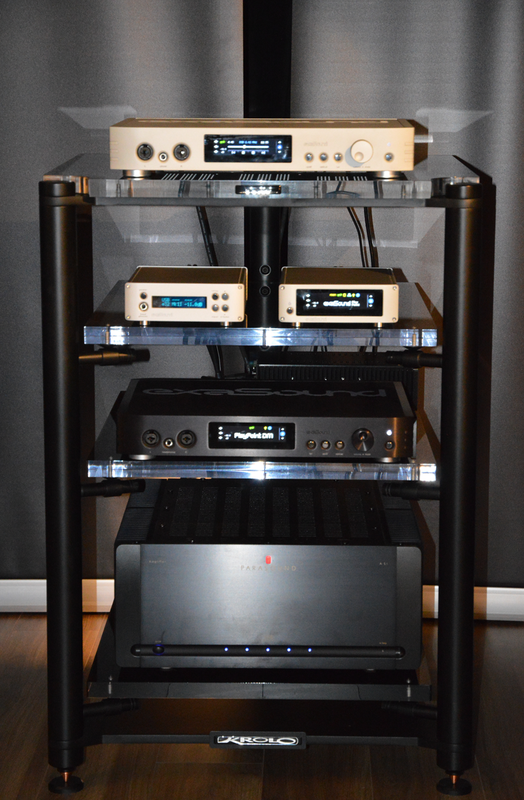 The exaSound room featured PlayPoint DM Dual Mono DAC, Streamer and Roon Server; e32 Mark II Isolated Packet Streaming DAC; PlayPoint Mark II Streamer and Server; Gershman Acoustics Black Swan II Speakers; Parasound A51 Amplifier and Krolo Design Rack.